There are 4 sessions on basic hygiene and health, 8 on Basic Medical Prevention and Care, 2 on Basic Dental Care, 5 on Family Health, 7 on Basic Ag. And Farming, 4 on Pregnancy and Childbirth, 4 on Child Development, and 2 more on the Female Reproductive Cycle. 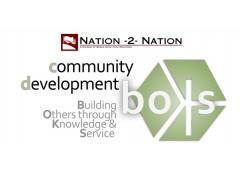 So with 36 sessions, this is a virtual introductory course on the entire community development foundation. Correct me if I’m wrong, but this just might be the most comprehensive distance learning curriculum available anywhere today in community health. 21 DVD’s — all for $175. That’s basically $8/DVD. I can’t imagine any better deal ANYWHERE that would so comprehensively give you so much of a body of knowledge at a distance. Plus, the videos are high quality. Yes, many are lecture-based, rather than the participatory style that CHE has made so famous. But if you have to learn this material through a distance learning course, you probably aren’t worried about using participatory instruction techniques (because you’re solo). If you can’t get to a CHE course in person, then this course is highly recommended. And if you CAN, then take CHE to acquire the training in participatory teaching, then use this course to expand your body of knowledge about the principles, techniques and the knowledge base of community health. Cool idea. There must be some way to register so you can watch the videos online (and not have to wait for DVD’s to come in the mail). This would be really helpful to overseas customers, living in sensitive situations. Although it didn’t look like the page was protected by SSL technology, one could use a VPN to address security and, presumably, view the entire training program via a distance-learning approach. Awesome. I’ve used this course with new friends in Asia, and I’m about to use it (starting tomorrow) with new friends in Serbia and two days later, in Bulgaria. It’s good stuff. You might have to adapt it to your situation, but it will give you plenty of meat to adapt. 9) What do you think of Online TEFL Courses? would you come away with a good handle on how to Teach English? 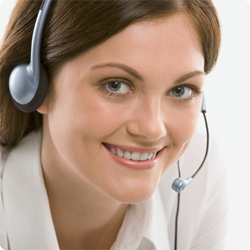 Do you have a favorite online program or experience? If so, would you be willing to give us the referral information in a comment box immediately below this item? For some of the software products that MAF is tweaking. Each offers something unique. Remember that prayer campaign, Pray4Tunisia.com ??? Here’s a free course for people to learn how to become small group prayer leaders especially for Pray4Tunisia. This might provide ideas for those wishing to use Nixty for other purposes. There are 5 lessons covering Church planting movements, prayer, Tunisia, and practical tips to lead a small group. There are podcasts, articles, and videos. It’s completely free and is designed to empower people to start small groups that pray for a CMM in Tunisia. You can check it out at…. 2) Learn “Working Your Way to the Nations” Today!